Chief Christopher Warn began his law enforcement career in 1981 in Allenstown and graduated from the 64th NH Police Academy. After working in various agencies, the Chief came to Campton in 1990, became a Sergeant in 1992 and the Chief in 1999. 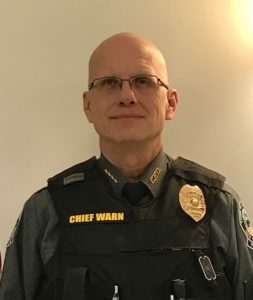 Chief Warn has a BS in Social Science Education and a Master’s Degree in Education from Plymouth State University where he also serves as an Adjunct Professor. Chief Warn also serves as the department’s Prosecutor. Sergeant Foss began his law enforcement career in 2005 with the NH Marine Patrol and is a graduate of the 152nd Police Academy. In 2009 he was hired by the Campton Police Department. He holds a Bachelor’s Degree in History from Plymouth State University. Sgt. 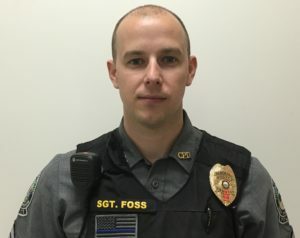 Foss serves as a Field Training Officer (FTO) and assistant prosecutor. In 2013 Sgt. Foss was certified as a Drug Recognition Expert (DRE) and is specially trained in detecting drug impaired drivers. To learn more about the DRE program click here. 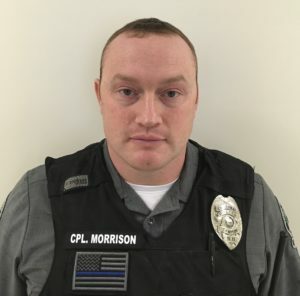 Corporal Morrison began his law enforcement career in 2009 with the Campton Police Department. Cpl. Morrison is a graduate of the 149th Police Academy. He attended Plymouth State University and studied Physical Education. Cpl. Morrison is the Department’s firearms instructor. In 2015 Cpl. Morrison received a NH Congressional Law Enforcement Award for going above and beyond the call of duty. 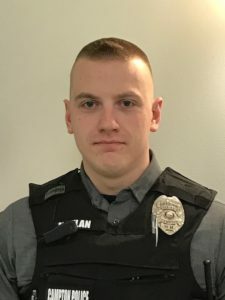 Officer Moylan began his law enforcement career in 2013 with the Plymouth State University Police Department and Thornton Police Department and is a graduate of the 165th Police Academy. In 2016 he was hired by the Campton Police Department. He holds a bachelor’s degree in Criminal Justice from PSU with minors in Sociology and Psychology. Officer Arcieri began his law enforcement career in 2014 with the NH Marine Patrol and is a graduate of the 166th Police Academy. 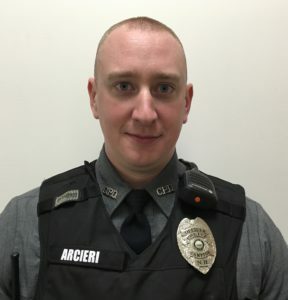 Officer Arcieri worked for the Lincoln Police Department prior to joining the Campton Police Department in 2017. Officer Arcieri holds a bachelor’s degree in Criminal Justice from PSU. 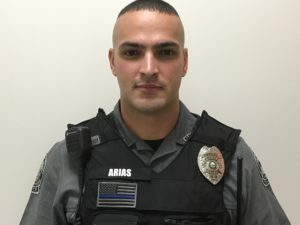 Officer Arias began his law enforcement career in 2018 when he was hired by the Campton Police Department and is a graduate of the 176th Police Academy. Officer Arias is a United States Army Veteran. Detective Morton has over 25 years of law enforcement experience having previously worked as a Detective for the Groveland (MA) Police Department and an investigator with the Essex County (MA) Sheriff’s Office. 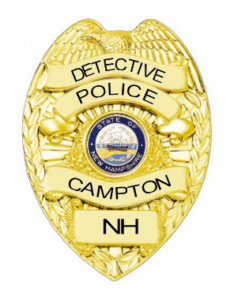 In 2018 Detective Morton joined the Campton Police Department and works as the department’s lead criminal investigator. Executive Secretary Janet Woolfenden has been with the Town of Campton since 1985 when she was the Deputy Town Clerk and Tax Collector. In 1999, she transferred to the Police Department as the Chief’s Secretary. She serves in that position, as well as records clerk and administrative support for the department.